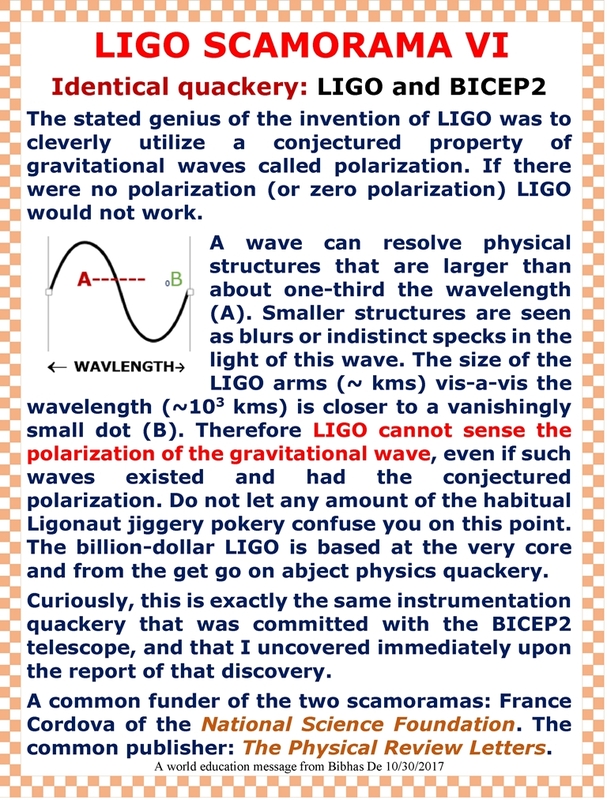 –Summary conclusions about LIGO from the above book. –My LIGO casebook – a pictorial exposition of the fraud. Download pdf here. –My casebook on Big Bang fraud – a pictorial exposition. Download pdf here. 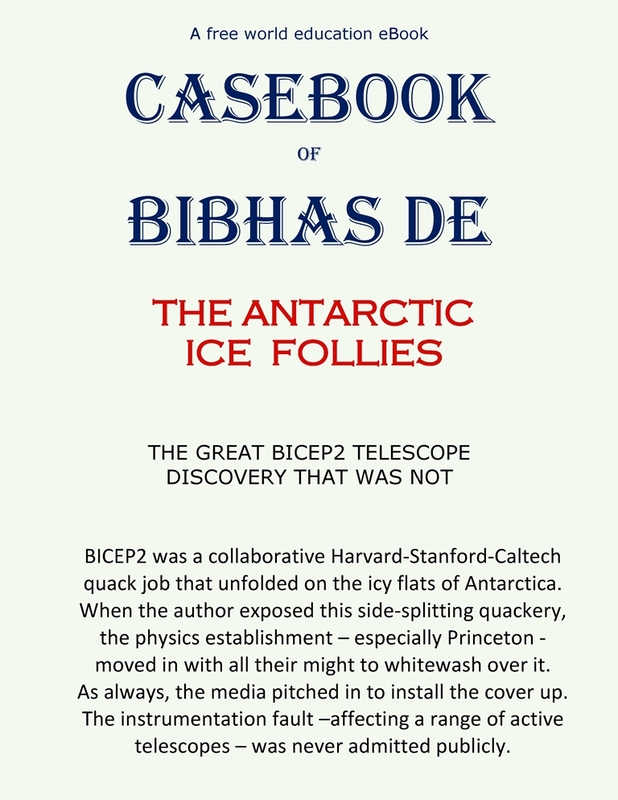 My casebook on BICEP2 fraud – a pictorial exposition. Download pdf here. The BICEP2 Casebook it is here! Click here to download pdf file (5.75 MB). Posted in bicep2 cmb, Uncategorized | Comments Off on The BICEP2 Casebook it is here! Next casebook coming up …. 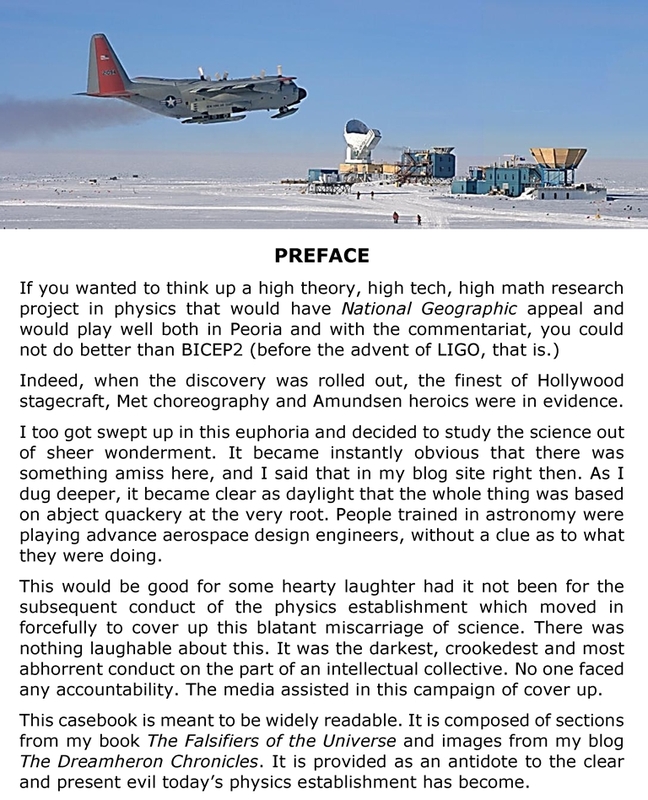 Posted in Advancing physics in the Age of Fakery, bicep2 cmb, Uncategorized | Comments Off on Next casebook coming up …. 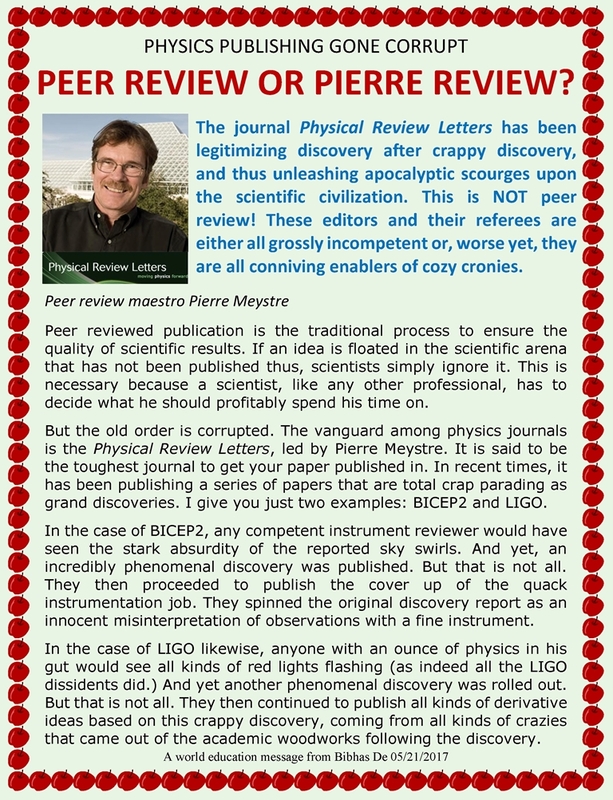 PHYSICS PUBLISHING: Peer review or Pierre review? !